NOW Chlorella delivers the natural nutrient profile found in Genuine Whole Foods. Chlorella is a green single-celled microalgae that has naturally occurring chlorophyll, plus beta-carotene, mixed carotenoids, vitamin C, iron and protein. The cell wall in this high quality Chlorella has been broken down mechanically to aid digestibility. Chlorella, Vulstof (Cellulose), Antiklontermiddelen (Siliciumdioxide, Magnesiumstearaat). NOW Chlorella delivers the natural nutrient profile found in Genuine Whole Foods. Chlorella is a green single-celled microalgae that has naturally occurring chlorophyll, plus beta-carotene, mixed carotenoids, vitamin C, iron and protein. 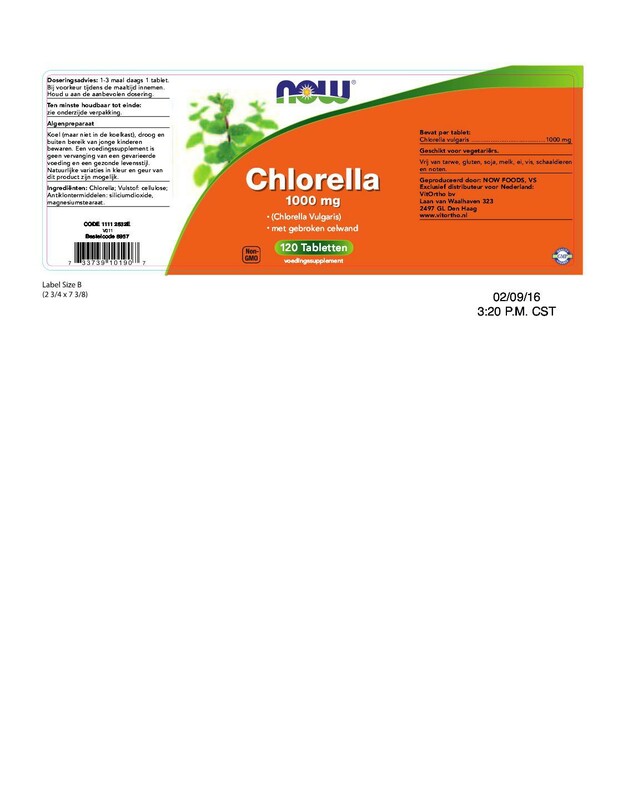 The cell wall in this high quality Chlorella has been broken down mechanically to aid digestibility. Chlorella (broken cell wall), cellulose, croscarmellose sodium and magnesium stearate (vegetable source). 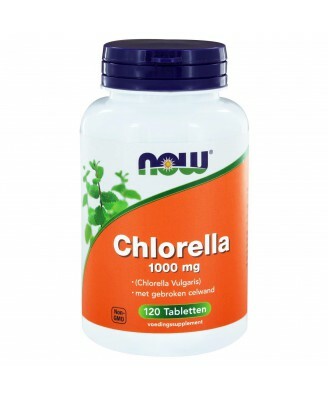 1,000 mg Chlorella per tablet. 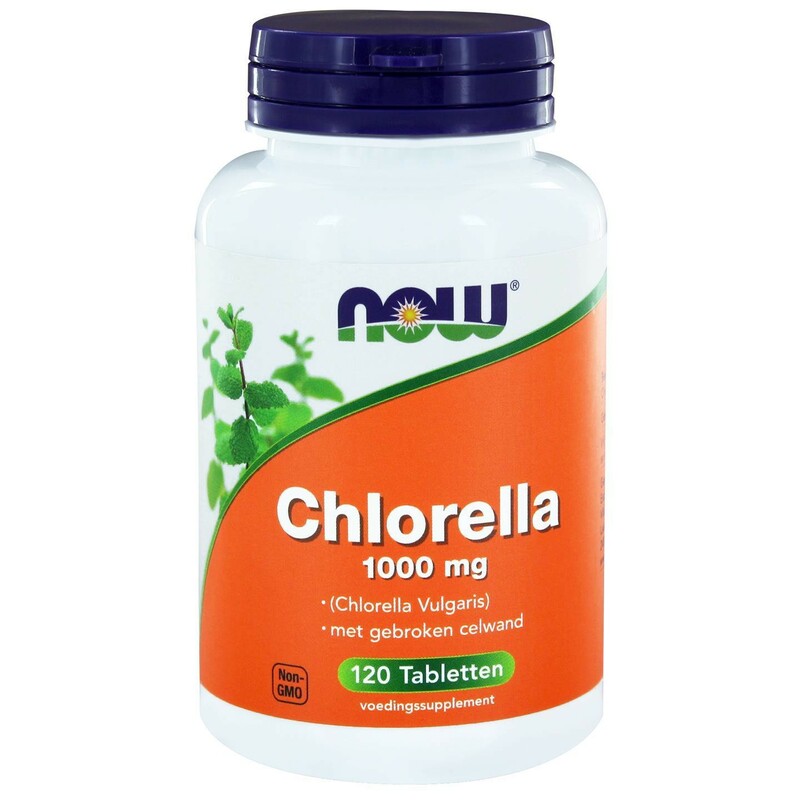 3,000 mg Chlorella per 3 tablet serving. Caution: May cause GI discomfort in sensitive individuals. Not a significant source of calories from fat, saturated fat, trans fat, cholesterol, dietary fiber, sugars or calcium. 1-3 maal daags 1 tablet, bij voorkeur tijdens de maaltijd innemen. Houd u aan de aanbevolen dosering.